Sony has just unveiled a new line of earphones that are equipped with a new zipper style cord cable tidy to reduce tangling and knotting. 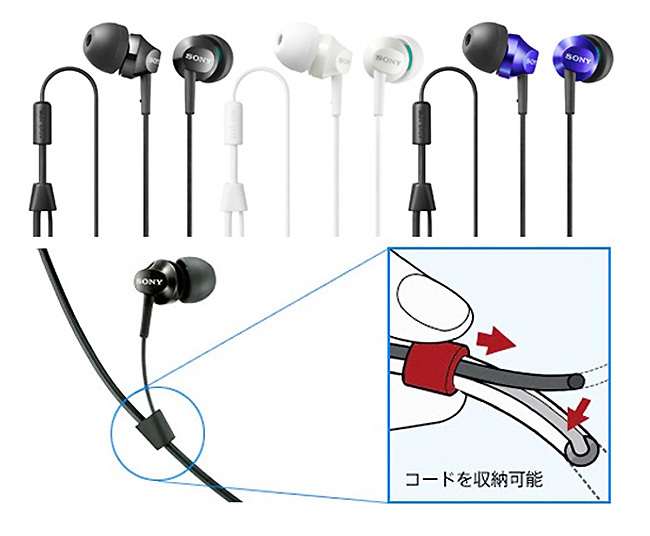 The new Sony MDR-EX59Z earphones are designed with one of its cables split so the other can slide into it when the small zip style fitting is slide up and down, holding the other cord in place. The Sony MDR-EX59Z earphones are available in 5 different colours and feature the 400kJ/m3 high magnetic force neodymium magnet for a boosted bass.